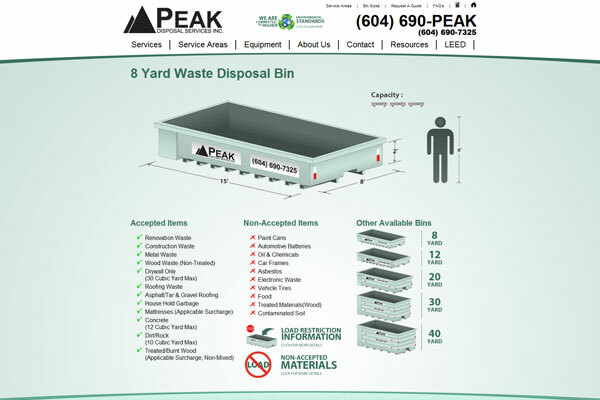 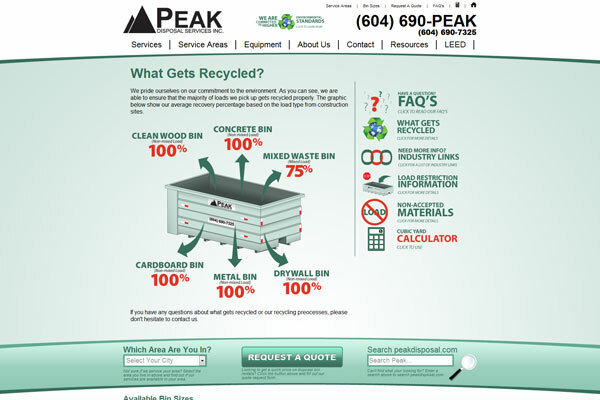 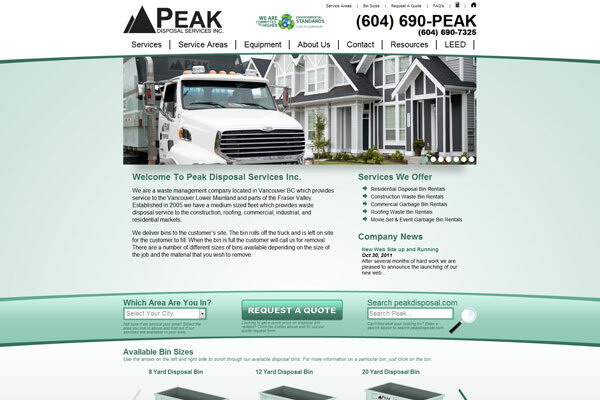 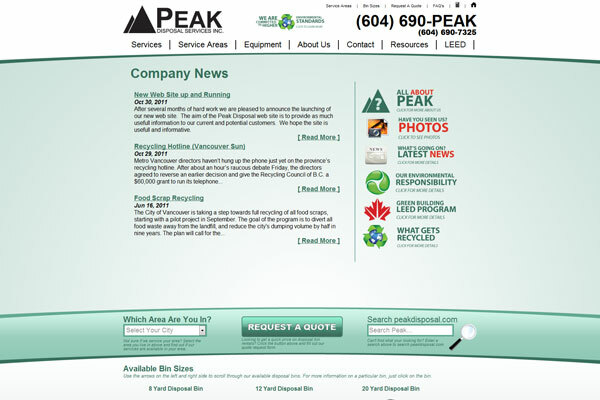 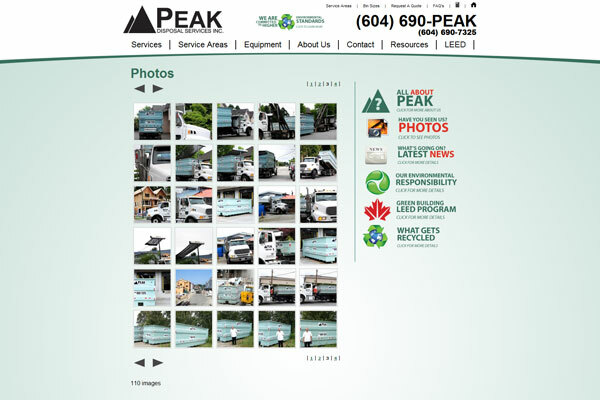 Peak Disposal needed a new website as their previous was looking a fair bit dated and it wasn't grabbing enough business for them online. 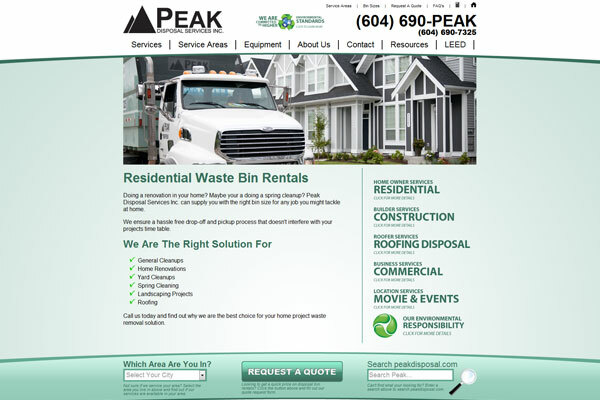 We developed a new, clean website filled with information and designed with the residential clients in mind. 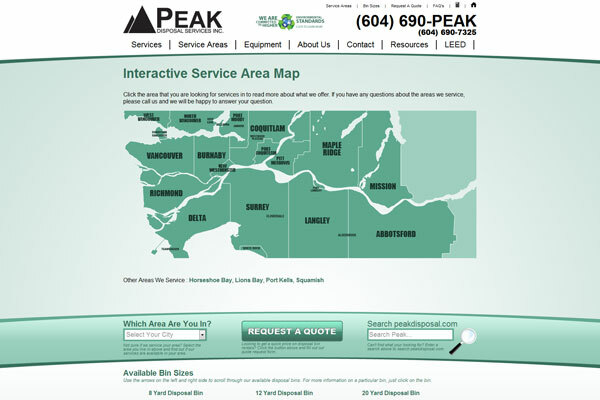 We developed an interactive map of the Lower Mainland that allows users to click on their city and find out what services they offer in that area. 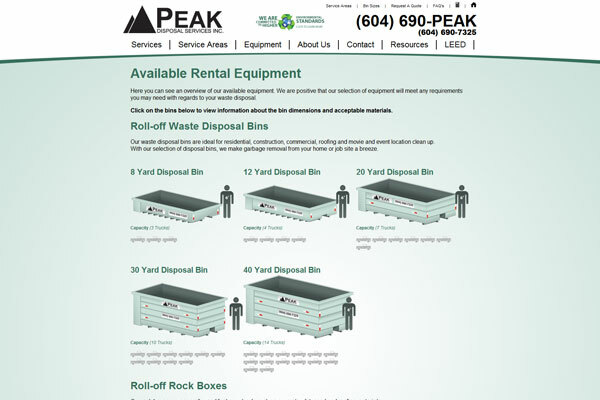 We also created a fair number of illustrations of their disposal bins to help soften the look and feel of the site.